Easter is a time we all look forward to, with great Spring weather, bank holidays and ofcourse, Easter Eggs. Surrey is an egg-citing place to be this Easter with many activities and fun for the whole family. We have created a list of some of our favourites, so you can enjoy the Easter festivities Surrey has to offer. The first of which is the Easter entertainment provided by Brooklands Museum. This includes a range of activities such as Car rides, Double Decker bus rides and Paper Marbling workshops. Easter fair's are also a popular theme among the Easter faithful and this year the Children's Trust will be hosting their very own Easter fair in Tadworth. As well as fair's some of our favourite events also include Bunny Canal Cruises down the Wey and Arun Canal. Which provides Easter entertainment for the family, while also giving you the chance to take in some of the great country views Surrey has to offer. If growing your looking to get creative this Easter Squires Garden Centre are hosting their Create and Grow activity. The create and grow activity allows you to plant an Easter bunny basket and watch it grow as well as the chance to take part in their Easter Egg hunt. 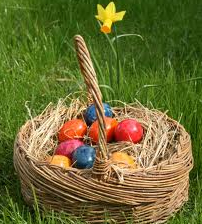 Another creative Easter activity in Surrey is the Wattsgallery Make! Easter Bunnies event which allows children to checkout seasonal signs and create their very own Easter bunnies. If we missed any of your favourite Easter events, let us know about them on the forums.